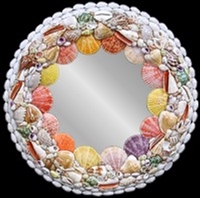 Hand Crafted Pectin Seashell Mirror. Oval Shaped. 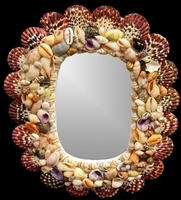 Hand Crafted Pectin Seashell Mirror. Heart Shaped. 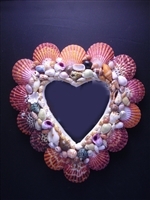 Hand Crafted Large Seashell Mirror. Round Shaped.